This is the Home Store for MCFC at Soccer Box. This is the place to shop for the latest Manchester City home kit including the shirts, shorts and socks. 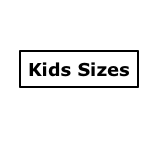 In the Soccer Box store you will find the latest merchandise available in baby sizes, kids and youth sizes and to fit adults up to XXXL. The baby, infant and younger boys Manchester City kits are sold as full strips that come complete with the jersey, shorts and socks. These outfits are fantastic value for younger fans. For children from age 7 and upwards the shirt, shorts and socks are sold individually allowing you to choose whichever components of the home strip you prefer. 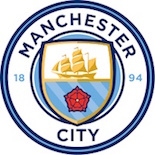 Shop here for the latest Man City Merchandise, at Soccer Box we can offer you express and international shipping! Nike is the manufacturer of the football strips. The 2013 - 2014 season saw the launch of the 1st Manchester City kit. The deal between the club and Nike will last for at least the next 6 soccer seasons and is worth around £12m per season. This is not one of the largest deals but shows the progress of the team that were relegated from the top-flight, and were actually playing in the 3rd tier in 1998. Since the disastrous 1980’s and 1990’s Manchester City has progressed hugely. They clawed their way back into the Premier League and were purchased by Sheikh Mansour of the Abu Dhabi United Group in 2008. Since this huge takeover and investment Manchester City has soared in rankings and achievements. With the large investments the club has purchased some top-quality players to wear the uniforms. They have undoubtedly one of the best squads in the English Premier League. In 2011 the team that lifted their first FA Cup trophy since 1969, they followed this up a year later by lifting the Premier League trophy. On home soil at their Etihad Stadium is a force to be reckoned with. The 2013 - 2014 season saw them beat a number of high profile teams with some outstanding performances and huge score-lines. This includes a 4-1 win over Manchester United, and a 6-3 defeat of Arsenal that were also contesting for the Premier League trophy. The blue top is primarily worn for home games at their Etihad Stadium. They moved to this new ground in 2002 when it was initially known as the City of Manchester Stadium. It was renamed in 2011 when a sponsorship agreement was signed. The Manchester City Home Kit is the most iconic of the team’s outfits and a great choice for supporters. However, you may also like to consider the Manchester City away kit that are also available in the Soccer Box shop. The latest official Nike strips are now available at the Soccer Box store. Shop for yours now using the online shopping cart or call our helpful customer service team today!